As a resident with a roofing business in Livingston County, we thought we would give some recognition to our neighbors living in Hartland Township. Established in 1836, Hartland Township has kept its small-town charm while providing amenities for modern living. Hartland lies right between Highland Township and Howell, the home of Eastbrook roofing and construction. Hartland Township offers a variety of lifestyle options where you can reside in the rural, suburban or lakeside communities. It is known regionally for its hospitality and for neighborly citizens. This area appeals to all generations, from schools and youth sports to libraries, parks, and senior citizen homes.this area appeals to all generations. There’s always something that makes a group stand out in an active community. The “heart” of Hartland mainly caters to the youth (ages 5-17), mid-adult (ages 35-54) and elderly (ages 65+) age group. Although the ethnicity of the people living there is predominantly Caucasian, Hispanics, Asians and Native Americans also reside here as well. We are happy to call all of them our friends. Hartland Township is consisting growing in population from year to year. In fact, there are nearly 15,000 people living in the area. New home construction is on the rise as well. Tucked away in this historical area are hidden gems such as; the Music Hall, the Cromaine Library, restaurants, housing, local businesses, professional service firms and friendly retailers. There are so many things one can get involved with in Hartland, MI. One of our most favorable and memorable activities to partake in is the Hartland Polo Classic. The Hartland Polo Classic is held in June and typically includes a parade of ponies, diamond auction, hat contest and a dinner, which is catered by local businesses and caterers. Less we forget, be sure to visit Spicer’s Orchard and Winery. Open year-round, there are tons of things to do in Hartland Michigan. Most of all, Hartland Township a great variety of homes and property and because of this, we love this area. For over 20 years we have been offering roofing services in Hartland. If you are looking for a nice neighborhood to move to, Hartland is your go-to community. 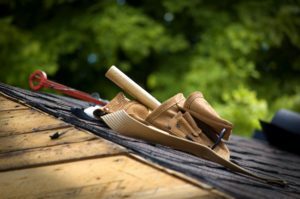 If you already living in Hartland or moving to it and need a new roof or home construction then we are here to help you.